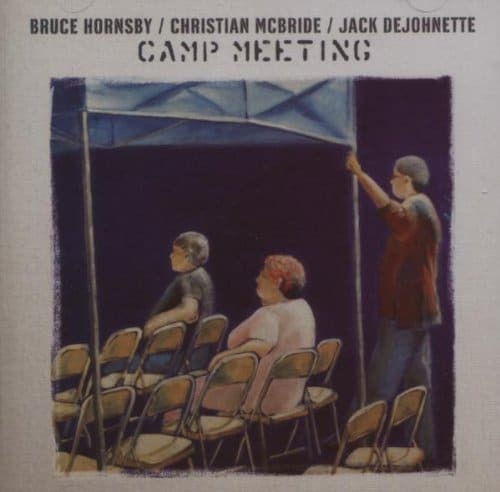 Bruce Hornsby’s Camp Meeting was released on August 7 2007. If you were like me and thought that jazz was an elitist form of entertainment, and that “perfect pitch” was throwing a jazz record into the toilet without touching the rim… think again. Once I opened my ears and listened to this, I really enjoyed it. I mean really enjoyed it. I’ve since had it on loop for the last several hours. I let this poll run for a while as I wanted to see if the early responses were typical. They were – and they indicate that the visitors to this site are more than willing to open their ears to a new approach. This record, again, was quite a departure from previous releases but scores very highly compared to other records – particularly on collaborations 90% is just beaten out by Harbor Lights which scored 0.1% higher i the same category. The title track Camp Meeting scored a tremendous 85.7%, easily the highest score on the record and putting it amongst your favourites of Bruce’s work. The jazz trio scores very highly! All About Jazz: The jazz folk will critique it, and others may or may not get it; but those who know good music will appreciate and hope Hornsby revisits the Camp Meeting again, very soon. Music and More: I must admit, I did not see this one coming. It’s a very good CD of improvising piano trio music and is quite recommended. Columbus Dispatch: If you gave snobby jazz critics a blindfold test, I doubt they would associate Camp Meeting with the man who gave us pop hits such as The Valley Road and The Way It Is. Nicky McMillan: Just bought my copy off itunes. I have to say, I’ve not really bought much jazz in the past, never really got past Miles Davis. So I cant say I know too much about it. But I’m really enjoying this album. It isn’t too different to the sound we are used to with live Bruce Hornsby. So far my fave tracks are the title track (which just sounds like its been taken from a noisemakers live show) & We’ll Be Together Again (outro is sensational). Allot of it reminds of the stuff Bruce did on Spirit Trail. Hopefully the trio show hits Chicago. That said, still waiting for the hornsby/skaggs show to stop by too. I’d like to send out congrats to Si for making the credits of “Camp Meeting”. You certainly deserve it! Something tells me you got a real thrill out of it too. I know I did when I made the credits of Kimock’s last DVD. This is the release I’ve been waiting for! The musicianship, recording quality, song choice, and absolutely everything about it is first-class all the way. Thanks so much Bruce! Run, don’t walk, to get this one. Do it today! You won’t regret it. If you do, and you can give me a good explanation of why, I’ll send you the live recording of your choice from my trading list. How’s that for a guarantee! Now Bruce, how about having the trio come to Wisconsin? Purty please? jdbeck: I can’t stop listening to it. I’ve always been a fan of the jazz style but have not kept up with all the artists . I’ve also always thought of Bruce more as a jazz artist than any other style so I don’t see this as a huge departue for him. For anyone afraid of this style for a whole album, BE NOT AFRAID. My son told me he thought this album captures the spirt of a live show more than any other of his records because of the improvisational aspect of Jazz. I enjoyed the Skaggs album a lot but Camp Meeting really shows what an amazing artist Bruce is. In the same calendar year we get to hear a chart topping bluegrass album and now THIS. A truly unique musician! clindsay: I really loved the Keith Jarrett song. That really stands out. Also classic songs from Bud Powell and Miles Davis. His original songs are less so, I think, in some instances. The ideas presented here sound very familiar to some live work from “Jacob’s Ladder” and from the intro to “Gonna Be Some Changes Made”. But they sound awesome nonetheless! I’d love one day to see Bruce do some totally improvised live performances. This jazz trio seriously needs to add some more tour dates to their schedule. I can’t afford to go to the Newport Jazz Fest–although it would be well worth the money considering the line-up. DavidR: Listened to a bit of it in the store (will pick it up very soon, my CD spending budget is quite minimal at the moment) and it is far, far better than I could have expected. I was stunned by the immediate chemistry on “Questions & Answers” and “Charlie, Woody and You,” and Hornsby’s true facility in the jazz idiom. He’s not just faking it, he’s truly engaging DeJohnette and McBride at their level. The drum machine on “Giant Steps” turned me off a little, but maybe it works in the grand scheme of things. Overall, I’m very, very impressed. Victor: Got mine on Friday and listened to it as much as possible over the weekend. The bluegrass stuff was more my cup of tea, but this is undeniably cool. I feel like I’m growing more “hip” the more I listen to it. The songs that are credited to Bruce — including Charlie, Woody & You and Camp Meeting — are my favorites. I suppose it’s because they are most similar to his usual style? I like the slower-paced stuff, too, like Death and the Flower. Thanks to Dana for the links to the professional reviews. I’d agree with the one who criticised the “tinny” drum sound; It seemed a little jarring at first. But kudos for reaching for something beyond the expected. Also thanks to DavidR for the Keith Jarrett recommendations. I’d say this is good enough, along with the Ricky Skaggs record, to significantly improve Bruce’s batting average at next year’s Grammys. Unfortunately, neither category is likely to be televised. David Day: It’s time! I’ve been quiet on this one for too long! I’ve been jumping out of my skin to give a few thoughts, but wanted to listen a while longer before I did. I know that this will get a few of you out of your “comfort zone” with Bruce, but at least take some time to listen to it. I think you will enjoy it! Let me give you some thoughts. 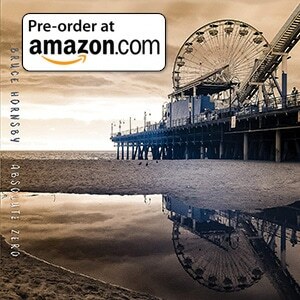 The first thing you need to do is purchase the CD! When you do, the second thing is to open it! I know that is a hard thing to do with the shrink wrap, but once you do, it will be a “Camp Meeting” with you and Bruce! There is so much to say, but I will contain this writing to Bruce’s song’s. Here are my first thoughts, subject to change, but like I said, I know it will probably get most of you out of your “comfort zone”. My favorite song so far is Stacked Mary Possum. It has some great piano that you will like! Bruce really dances on the keyboard with this one! It is “upbeat” and it “builds”. I love a song that “builds”! When I first heard this one, I thought to myself, “Yeah”! My second favorite song so far is Un Poco Loco/Chant Song. This one really “builds”. As DavidR puts it, Bruce “engages” very well on this one! To me, this is more like “salsa” than jazz. Sort of reminds me of a more mature and more sophisticated Joe Jackson, but better! (What do you Brits think about that?) (Would love to hear Dave Rich’s & Si’s thoughts on that comment!) My first thought after I heard it was, “Wow”! My third favorite song so far is Camp Meeting. This also has some great piano! Great intro! You will recognize what you like in Bruce here! If you like Bruce in concert, and I know you do, you will like this because it changes themes many times! This song gets “down and dirty”. You will like it! You can almost see Bruce playing this at a show as you listen! When I first heard this one, I thought “Wow”! Then, there is Charlie, Woody and You! If you like to hear Bruce at solo shows, then you can visualize Bruce playing this one! (Didn’t he play this at Boone?) This is another “dance on the keyboard” song! Very creative! I must say that Christian McBride & Jack DeJohnette do a great job! They blend very well! That’s enough for now! That’s just a few thoughts. Do yourself a favor! Purchase the CD, open it and just listen to those four songs! I know it will get you out of your “comfort zone”, but to get strong, you need to be stretched every once in a while! If you don’t have a “Camp Meeting” with Bruce, then we might need to have some Questions and Answers! there are absolutely overtones of some classic Hornsby (and not so Hornsby) riffs throughout. the other is camp meeting – this has got a spirit trail “sad moon” chorus to it. Charlie,Woody And You-love the interaction between Bruce and Chrustian McBride here. Camp Meeting-it REALLY grabbed my attention around the 3:40 mark. Questions And Answers and Giant Steps-“jumpers” (to borrow a “Bruce-ism”) is the word that comes to mind. We’ll Be Together Again-I was expecting the slow,mellow version of the song and was pleasantly surprised. The sampling of stride piano is a nice touch too. That’s all for now. If you all will kindly excuse me,I have to go back to the Camp Meeting…. Admitting that I haven’t really paid much attention to jazz in over 20 years, and have so little familiarity with the non-originals that were done on this CD that I wouldn’t recognize them by name, I decided to take in the CD “as a whole.” In short, it meant that the bulk of my listening was done in the car going to and from work, or at work while occupying myself with the pressing needs of the school district that helps me to pay my bills. By the way, for those of you who think summertime is “easy livin'” for school district employees, especially us IS geeks, you must only be thinking of teachers. The rest of us have to jam into 3 months about a year’s worth of work because the teachers just expect it’ll all be there and waiting for them when they get back a few weeks before school starts. OK, there’s my rant-du-jour! Meanwhile, back at the ranch… I was struck with how familiar it all felt and sounded, and yet how different it was. There’s no mistaking that it is Bruce Hornsby playing the piano. Even when shifting genres, he manages to have a signature sound that is all his own. I’m sure that Bruce could probably play a note-perfect Rhapsody In Blue with a full orchestra, or an album of J. S. Bach etudes, and we’d still be able to instantly identify it as him. I think that’s part of what the fascination with his music is – he doesn’t just chunk out versions of tunes and go through the motions. He makes them his own and this makes it a much fresher, more personal listening experience. He did with Ornette Coleman and the others what he has done in the past with the music of The Grafteful Dead, Elton John, and even Rick James. I won’t go song-by-song on this, because I thought it was wiser to concentrate on traffic than to read the disc jacket to see what song it was. I did, however, hear some very familiar licks and thought, “wow, that’s pretty cool the way he slipped that in.” But then, we who have discovered the treat that is a live Bruce concert have been exposed to his musical thinking for decades, and it’s not all that surprising. My general impression was that it was a very tight album by a trio of musicians who were very comfortable with each other and quite confident in their own respective powers. You could hear the communicative interaction all over the place, and it sounded like the generally had a gas jamming with each other. It had a lot of the feel that I remember from my college days at the clubs in Richmond that featured a lot of “dark basement jazz” playing, except that it had a much stronger spark and these guys are sooooo much better than the Richmond crowd. Of course, I was the odd duck back then, being the rock and roll guy who hung out with the wanna-be jazzers, so who knows what I was really listening to at that time in my life. It was all kinda new to me then. I’m sure I’ll come up with single-track impressions later, probably as soon as I listen to this in an environment where I can tune the world out, throw on the headphones, and read the liner notes. The one thing about what liner notes I saw was this reference to some web site (bruuuce.com, I believe) and the subsequent thanking of some mysterious figure named Si Twining. Who is this man? Is he some newfangled jazz impressario who seeks to use his superpowers for good (and not evil, as is the comic-book hero credo) to promote this music and bring it out of the dark, dirty basements and bring on the dawn of a new day with this music as its’ centerpiece? I guess we’ll have to wait and see how this plays out. Who knows? He might be the guy in the shadows at those depraved rock concerts who selects which girls get with the band, which get with the sound crew, and which end up being ritually defiled by the roadies or the bus driver. Had to wait for it as it was a birthday prezzie from my wife. Apart from the tunes, which are great, – i have to say the engineering on this cd is excellent, I love the sound of it – I dunno whether bruce did it all himself or what, but it’s a great job!